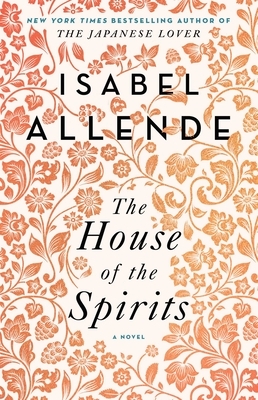 The House of the Spirits, the unforgettable first novel that established Isabel Allende as one of the world’s most gifted storytellers, brings to life the triumphs and tragedies of three generations of the Trueba family. The patriarch Esteban is a volatile, proud man whose voracious pursuit of political power is tempered only by his love for his delicate wife Clara, a woman with a mystical connection to the spirit world. When their daughter Blanca embarks on a forbidden love affair in defiance of her implacable father, the result is an unexpected gift to Esteban: his adored granddaughter Alba, a beautiful and strong-willed child who will lead her family and her country into a revolutionary future. One of the most important novels of the twentieth century, The House of the Spirits is an enthralling epic that spans decades and lives, weaving the personal and the political into a universal story of love, magic, and fate. Born in Peru and raised in Chile, Isabel Allende is the author of a number of bestselling and critically acclaimed books, including The House of the Spirits, Of Love and Shadows, Eva Luna, The Stories of Eva Luna, Paula, and The Japanese Lover. Her books have been translated into more than thirty-five languages and have sold more than 65 million copies worldwide. She is the receipient of the Medal for Distinguished Contribution to American Letters, and she divides her time between California and Chile.